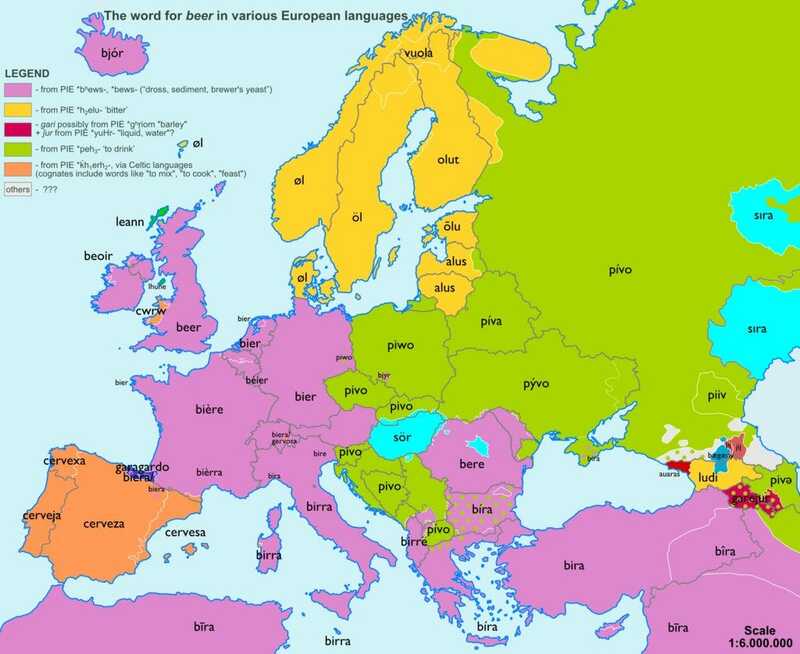 Another reddit user noted that “pi” is a prefix for “beer” in several European countries while the “pi” in the Mandarin Chinese word for beer, 啤酒 pi jiu, is a loan word from Europe. 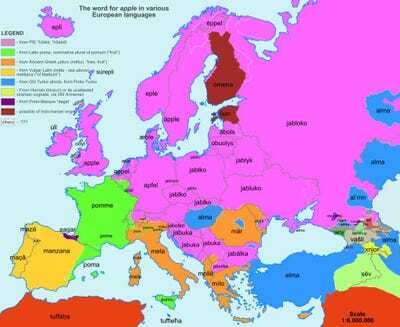 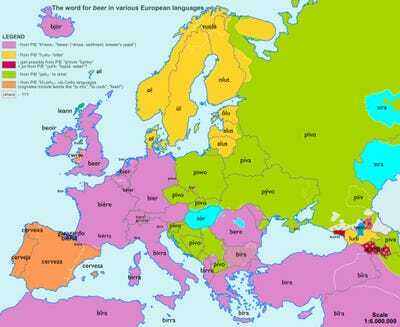 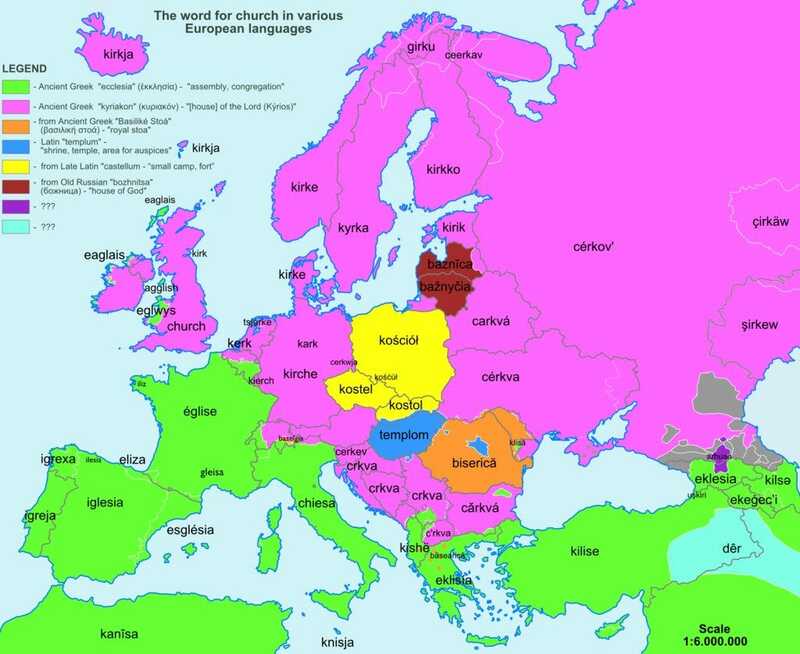 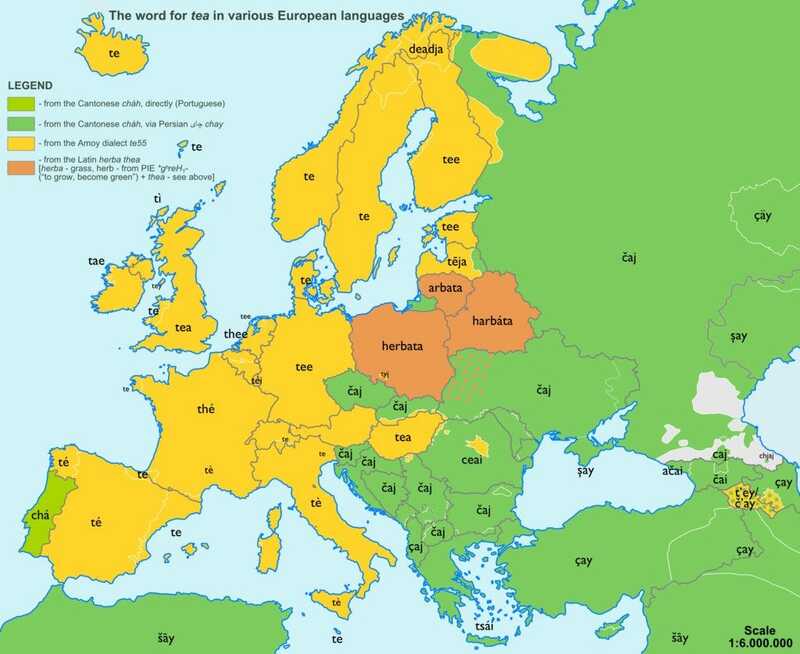 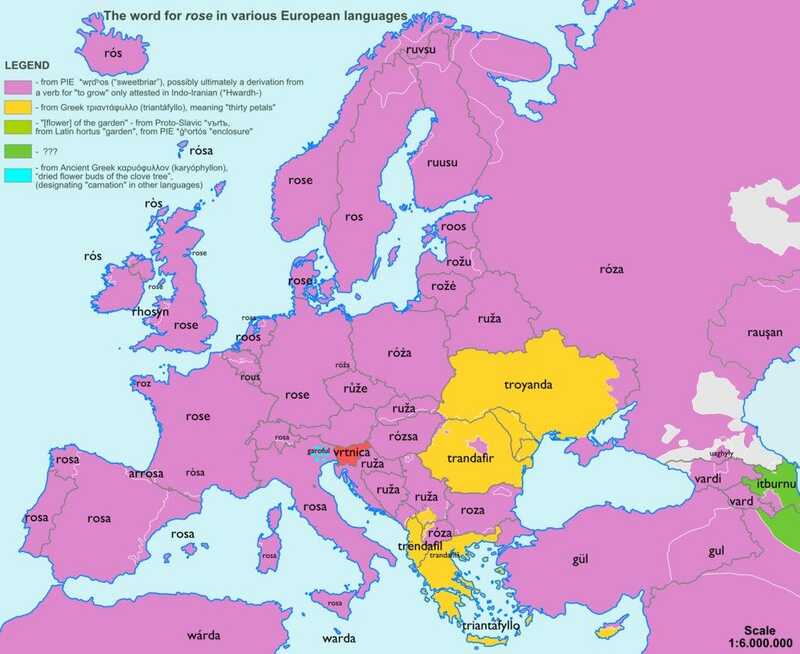 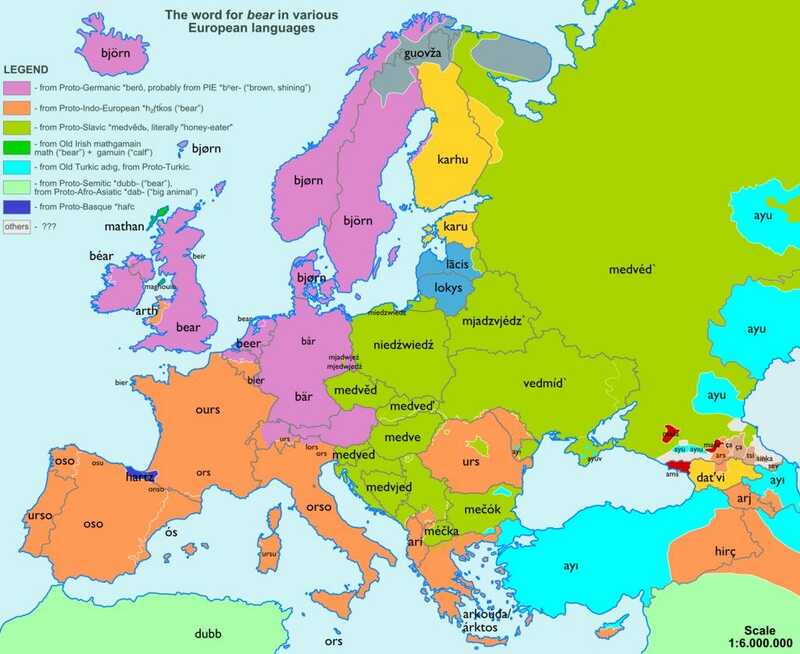 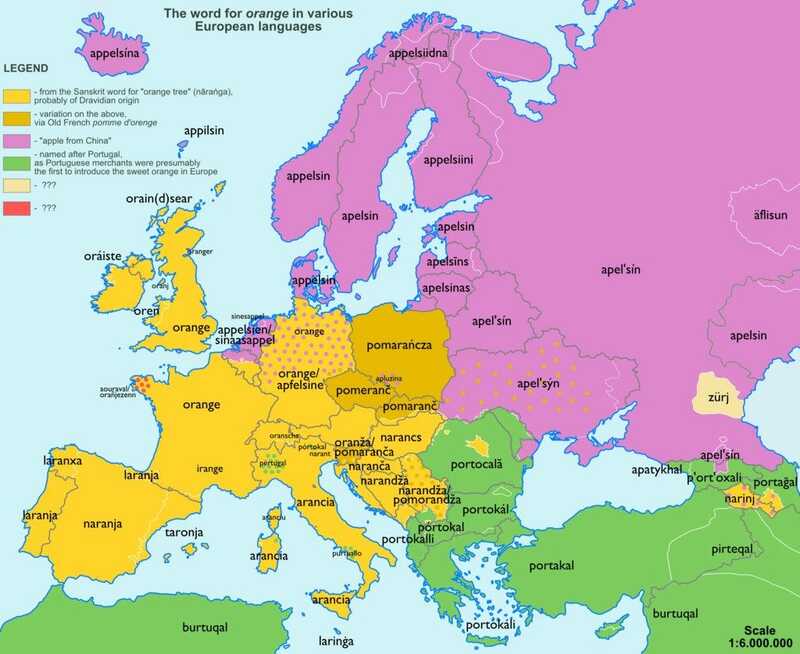 “Apple” has a lot of diversity: Notice how the word in Finland and Estonia may come from a Indo-Iranian origin. 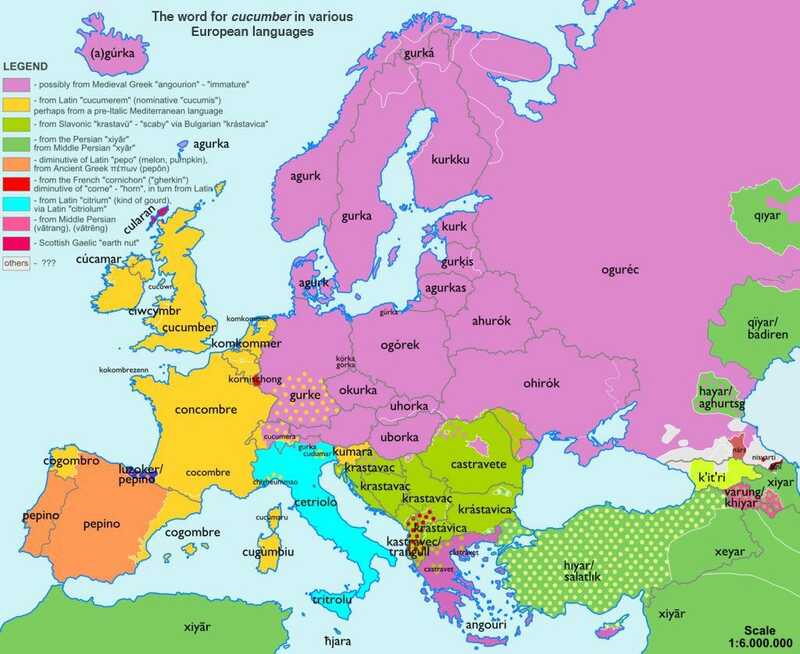 “Garoful,” the ancient Greek word for “rose,” only remains in northeastern Italy. 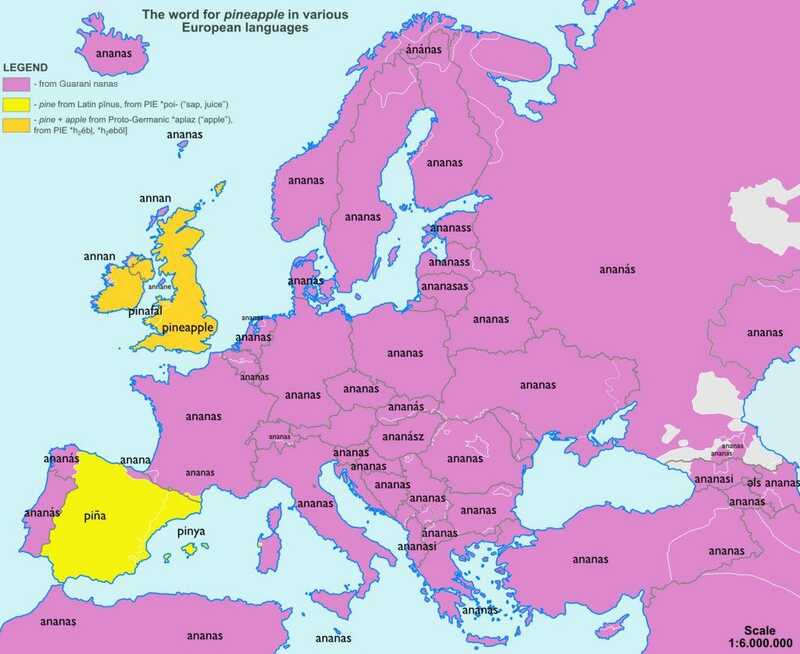 Most of Europe derives “pineapple” from the Guarani language, which is an indigenous language of South America, although the U.K. (and consequently the U.S.) get the word from Latin.